Hello! I'm cringing as I write this but I've been feeling some sort of inspired by the eighties the past few days. The eighties? Up until this past week, I was convinced of my passionate hatred towards anything and everything eighties. But now I'm definitely feeling unsure. 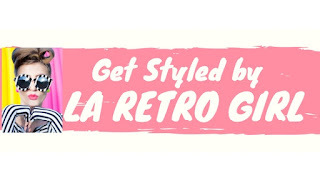 I've been incredibly drawn to eighties silhouettes and styles while buying for RaddayVintage's spring collection as well as while styling myself throughout the past few days. I blame Molly Ringwald and her fashion-forward role in so many eighties cult flicks. 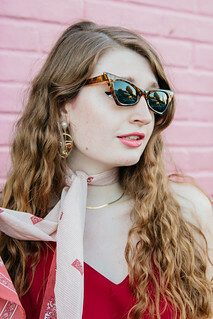 I channeled my recent eighties style inspiration into this look for a shoot with Elissa Rumford. 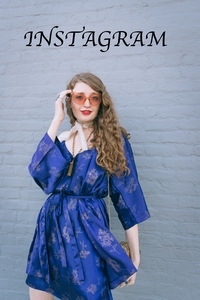 I styled the look around a tremendously awful yet beautiful eighties dress that I recently added to RaddayVintage's inventory. The eighties throwback silhouette, ridiculously pink color and lace texture of this dress definitely give it a very Pretty in Pink, or 16 Candles feel. I wanted to play up the soft femininity of the dress even further and styled it with a romantic beaded jacket, nostalgic pink shades and several pieces of simple golden jewelry.